Belmond La Residence D’Angkor Hotel in Siem Reap prides itself on the intimacy and beauty of the retreat. Nestled on the banks of a tree lined river, the views capture Cambodia’s rich history and culture. 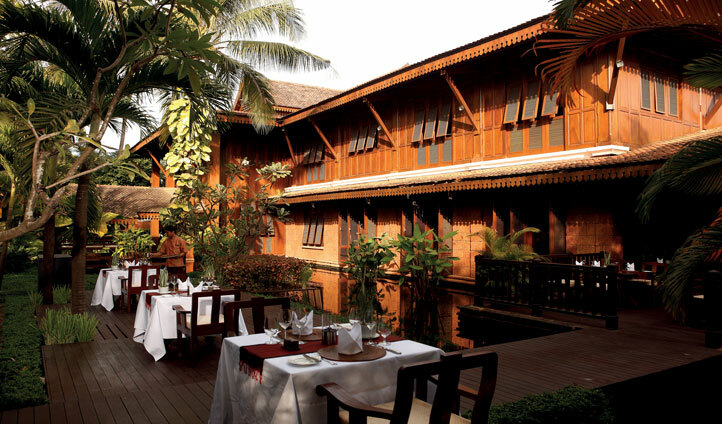 The hotel offers a modern take on the past yet still manages to maintain traditional Khmer architecture. 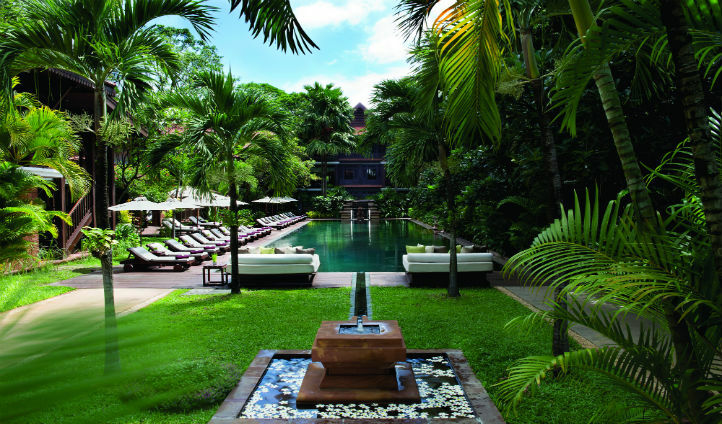 Surrounded by beautiful foliage and flowers the pool offers a tranquil and private setting, in contrast to the hustle and bustle of Siem Reap a few miles down the road. All 62 rooms, made up of Resident suites and Deluxe rooms vary in style. Siem Reap, a short walk from the hotel, is host to lively markets, art galleries and a thriving nightlife. If you are looking for a contrast to the relaxing nature of the hotel this is the place to go. However, if you want to stay in the hotel shopping is close by; Belmond La Residence D’Angkor Hotel has two boutiques selling stunning clothes and local jewellery. As well as the town, the Tonle Sap Lake and Angkor Wat are close by acting as ideal bases to explore the region, whether that is by kayaking, sailing or trekking. A short taxi ride in our private transfer from Siem Reap International Airport will lead you to this charming haven. Rooms are created out of subtle local materials to add to the effect of its surroundings and all are unique in their own quirky style. Deluxe rooms are exquisitely decorated in soft cottons, with a private terrace to enjoy the glistening waters of the pool or the vibrant gardens. Resident suites are positioned in the quietest area of the hotel to ensure maximum relaxation. As well as a lounge, rooms offer grand terraces where you can enjoy some al fresco dining or cocktails under the stars. Before sampling the various cuisines, it is essential to pay a trip to the spa. In a secluded area of the hotel, spa treatments, yoga and the infamous water blessings are all available at the tip of your fingers. After rejuvenating yourself in the spa, take a trip to our favourite bar, the Martini lounge, with the best Martini’s and personalised cocktails in town what more could you want? Oh yes it also boasts stunning views of the tropical gardens and Siem Reap River with an extensive tapas list, the perfect end to a perfect night.